We are very lucky to be able to print “Napa Valley” on our labels! Rolando’s career began in the summer of 1985, building a rock wall for Warren Winiarski, founder of Stag’s Leap Wine Cellars. 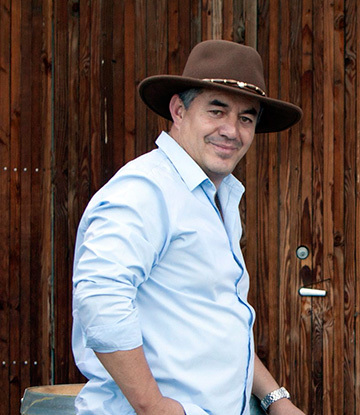 Today, Rolando has achieved his own acclaim as founder and winemaker of Mi Sueño Winery. In the summer of 1985, I was doing a job at Stag’s Leap Wine Cellars for Warren Winiarski. I was part of a crew asked to build a rock wall for Warren’s residence. That summer, I was given an opportunity to work crush (before I knew what that meant) as a cellar rat. This was my senior year of high school, so I had to go to school during the day and work at Stag’s Leap Wine Cellars at night. 1985 Cask 23 from Stag’s Leap Wine Cellars. Warren Winiarski and Paul Hobbs. They were mentors to me in my formative years. Work? What’s work? When you wake up in the morning knowing that you do what you love, I don’t think that’s work. I stopped working in 1985 when I first set foot in the cellar. But don’t get me wrong, I still put in long hours every day at Mi Sueño Winery. Keeping up with Mother Nature to make great wine every year is always challenging, but it’s a good thing I love what I do. Success can have its challenges as well. Mother Nature is extra generous here in the Napa Valley. With all the soil types and the amount of sun, it’s incredible that we can produce the varieties of one whole country (France) in one small region (Napa Valley). Everywhere we go, we emphasize the significance of Napa Valley and its impact on the quality of our wine. We are very lucky to be able to print “Napa Valley” on our labels! Since I like to fix things, I could see myself being an engineer of some sort. On another note, I love to cook, so I could see myself being a restaurant owner. My grandmother, “Mama Esther.” My wife because she’s my pillar. Lastly, Julia Roberts because it’s Julia Roberts and I like her acting.